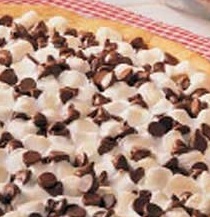 Anytime my kids have a birthday, I always ship them this cookie pizza. Recipes can get boring over time so give this one a shot. They still request I make this for them even after 20 years.